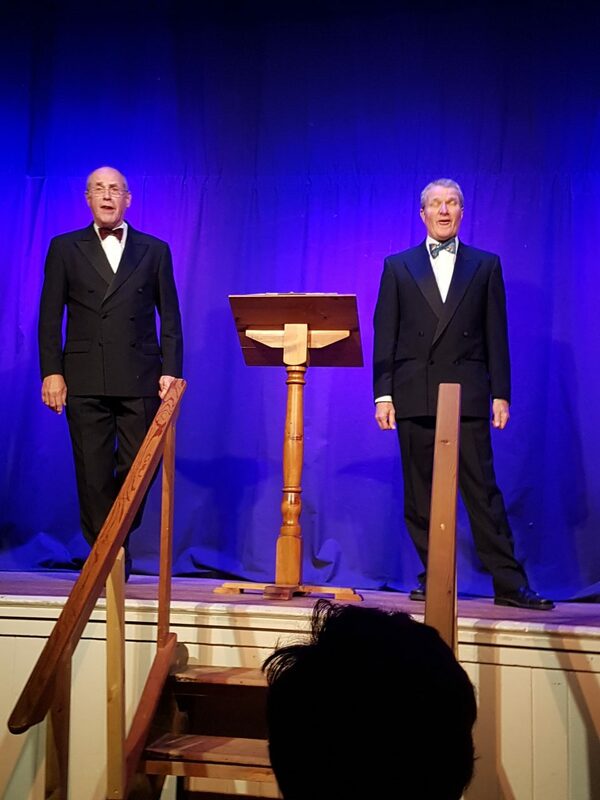 If you are having a problem selecting a play to put on for your local amateur dramatic group, remember, there is always a format which we and our co-partner Blackham Players, have used on a number of occasions. It is worth considering, because it carries a number of distinct advantages. That is, the Sketch and Song Evening. 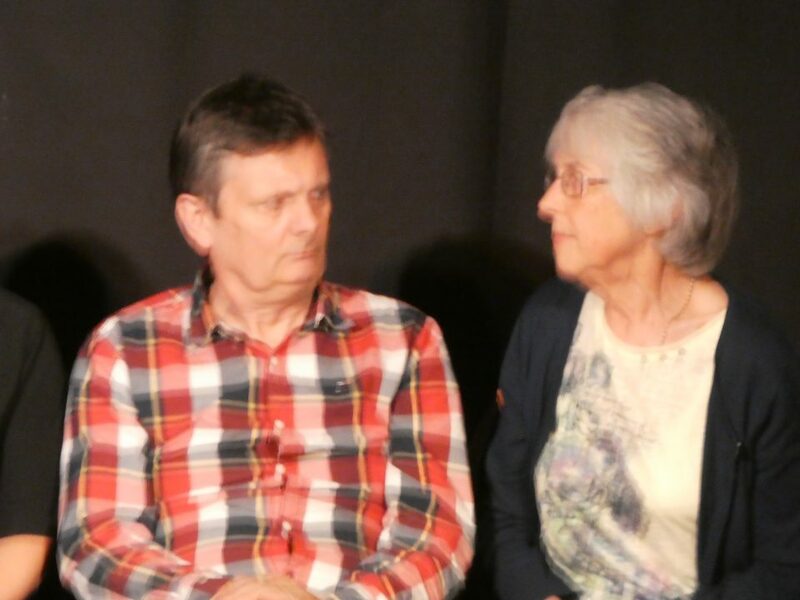 After the Pantomime in February, which happens every other year, most of our members feel that it is difficult to do credit to a full length play in May. Songs and sketches fill the gap admirably, so we can still achieve a May production without having to pull all the stops out. 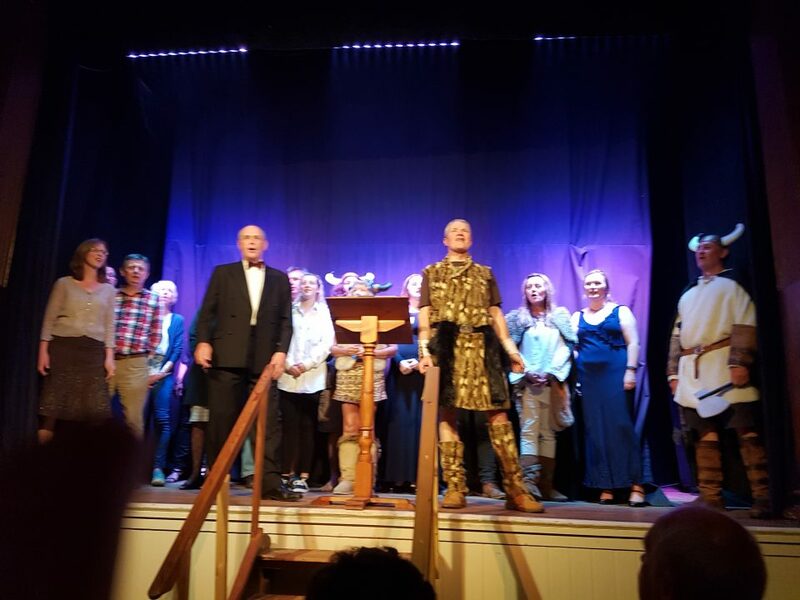 Audiences love a song and sketch show – it is easy to watch, it makes them laugh (hopefully) and the inclusion of music breaks up the format. We have always had good audiences for this type, and excellent reviews afterwards. So what are the elements? Good sketches. There is a wealth of material on the internet, some copyrighted, some not. It is always worth putting in a few well known ones – You will of course be judged against the highest standards, but they are well known precisely because they are so funny, and the humour will generally come through even if the delivery sometimes a little less perfect. Just as people love repeating catch phrases and excerpts to each other after a particularly good sketch is shown on TV, they also love hearing them again live. Don’t be afraid of putting on well-known gags – the joy of recognition and the fun of expectation as the lines come up is always a plus. Original material. This is somewhat more tricky, but these shows are a brilliant place for trying out new material – be it music or prose. And there are any number of sketches on U tube with little or no provenance which are very, very funny. 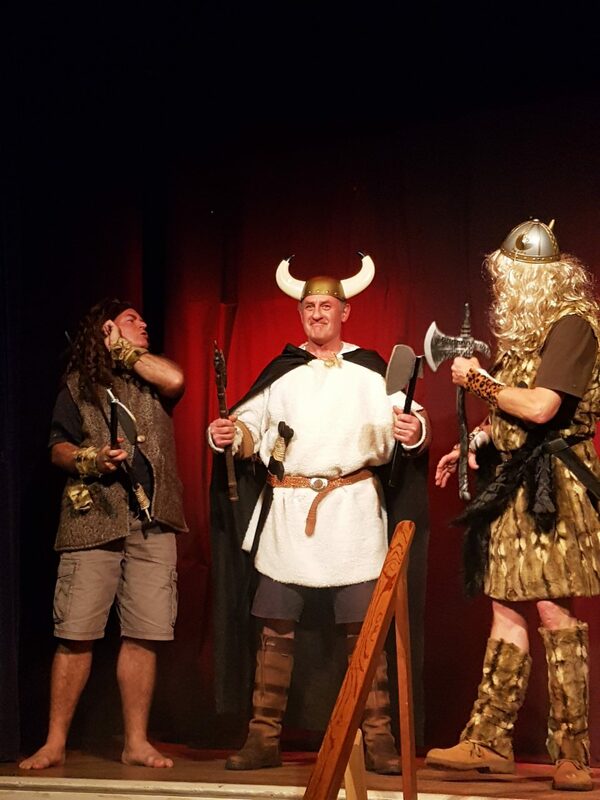 One such was used by us last week – unknown to anyone prior to the show, but it turned out to be the funniest of the whole evening. I was able to try out a few new songs in front of an audience (not an easy thing to organise normally) and the mix of known and unknown numbers seemed to keep everyone interested. Funny songs. Do try to get hold of some funny songs. There are two giants in this field. Flanders and Swann (50/early 60s mainly) wrote, in my opinion, the funniest of all English songs. They always go down well, and there are others like Tom Lehrer, which are similarly excellent. There is something odd that happens in a funny song. If one has a gag which is moderately amusing, but one sets it to music and makes the words rhyme, it becomes instantly funnier. Don’t ask me why – but its true! Cabaret style. If it is possible, and it is in our hall, arrange the audience in cabaret style i.e. at tables, not in rows. It has a relaxing effect and everyone seems to be more prepared to enjoy themselves – and of course make sure you have a well-stocked bar! Running order. Take time to think hard about the running order. The first and last sketches need to be the strongest, and the first after the interval. There should be a down moment early in the second half (this time we put in a slightly more serious song) after which the comedy builds to the end. There should be a natural ebb and flow to the comedy through the evening – i.e. don’t put all the slapstick in one place. Make sure that all the punchlines are followed quickly by a blackout (much better and sharper than curtain down) and that your lighting engineer knows the cues! There is nothing more awkward than a sketch where the punchline has been delivered, the lights remain on, and the actors then stand on stage looking bewildered. As far as the actors are concerned, sketches are great – less line learning, and of course because sketches are separate, rehearsals can happen for less than the whole cast whenever convenient. The actual show does not have to be put together on stage until a few weeks before, unlike a normal play. This also means that new members can be introduced gently into the group without having to make the commitment to a long and arduous rehearsal schedule. We managed to increase the membership this way very successfully. Similarly for the crew: there is less scenery/design work and prop collection, and the staging can be as simple as one likes. Last of all, it is extremely good fun to mount a sketch and song show. We spent our evenings laughing at each other, and as any actor will tell you, there is nothing as good as speaking a line and getting a laugh. Here’s to the next one!